Rando del Cannonau 200km is the Sardinian classic event for all long-distance biking enthusiasts, as Randonné and Sportives. Taking place every spring, you’ll discover the best routes along the Cannonau territory in Sardinia, challenging yourself through unique landscapes and enjoying rich refreshment stations featuring local products. It’s not a race, but you have just 13 hours to cover 200 km of the hilly countryside. By completing the Rando del Cannonau, you’ll get the 200 km Brevet BRM. With the 2016 edition and the Rando del Supramonte we explored the south of Barbagia, crossed the heart of Ogliastra and touched the peaks of Gennargentu. With the route of the Rando del Cannonau we will discover the northern part of the island, pushing us to the wonderful massif of Mount Albo. 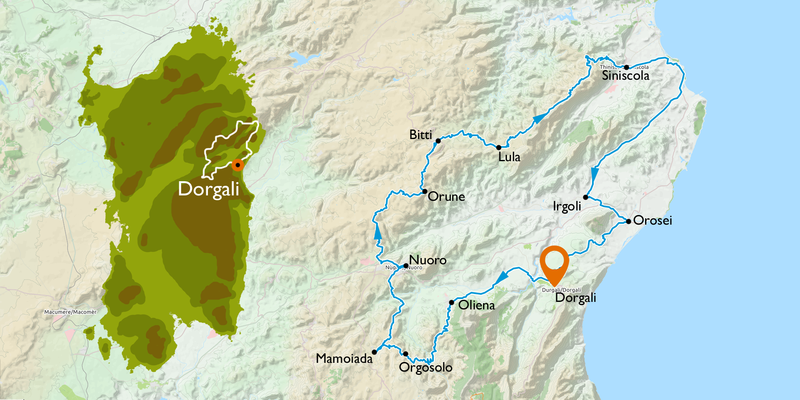 Leaving Dorgali we go up along the course of the Cedrino river dominated by the Corrasi massif. 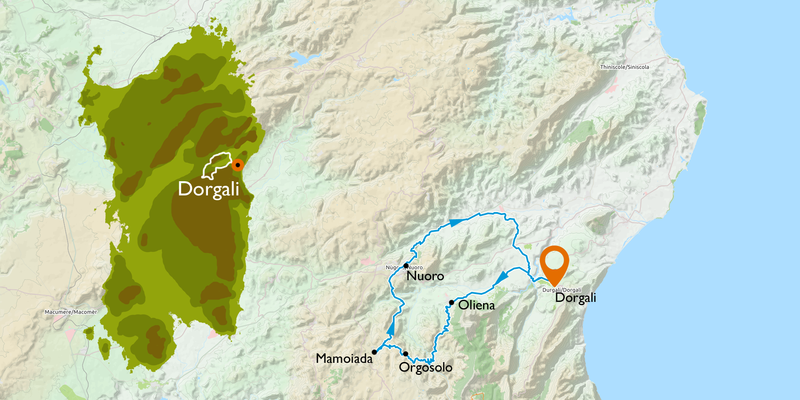 From Oliena we continue on the old road to Orgosolo, from where we descend towards the vineyards of Mamoiada, before reaching Nuoro. The itinerary continues northwards through regions that are symbols of the agro-pastoral Sardinian culture: we cross Orune, Bitti and Lula in succession, before reaching the wonder of Monte Albo, which we cross along a path surrounded by greenery, under the white limestone peaks on the right and the valley of Mamone on the left. It is undoubtedly one of the most beautiful cycling routes in Sardinia. A long descent overlooking the island of Tavolara takes us to the beaches of La Caletta di Siniscola. The silence of the countryside of Irgoli and the village of Orosei set the tone for the return to Dorgali where awaits the well-deserved Randonneur BRI/ARI patent as well as a festive evening with all the friends who will have shared this unforgettable experience. And then start to warm up for March 28, 2020, this year too will be a party! If you don’t feel ready for the 200km, or just want to take it slower to enjoy a wonderful day on the Strada del Cannonau at your own pace, there’s the 100km race. 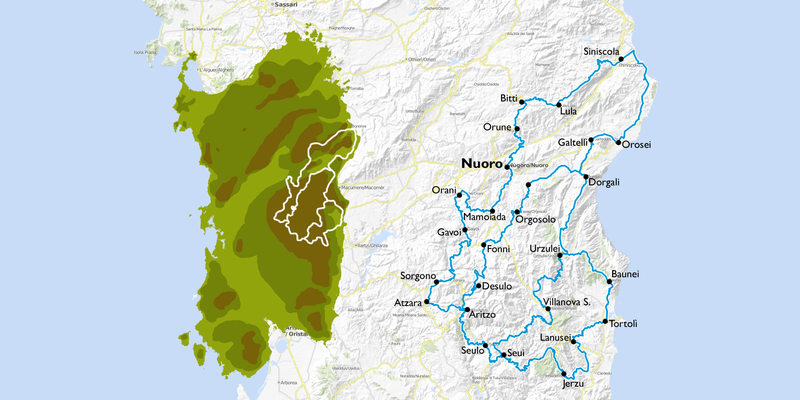 The route is identical to that of the 200km to Nuoro, from here the two routes are divided. The long route continues north to Monte Albo. While ours returns towards Dorgali along the descent of La Solitudine and the Cedrino Valley. Get ready for a beautiful journey through Barbagia, Ogliastra and Baronia. You can organize your itinerary in total autonomy by downloading the GPS trackers along the routes, deciding the stages and choosing the hotels to stay overnight. But if you prefer to have assistance to ensure a unique experience, contact us and we will be happy to offer you a trip designed according to your personal taste.